Situated on a hillside overlooking a game-rich valley, Mahali Mzuri occupies an enviable position within the Maasai Mara ecosystem. With the camp's location on the Olare Motorgi Conservancy, guests have access to 34,000 acres of pristine Mara habitat without the crowds that can be a feature of the public Reserve. The Olare Motorogi Conservancy adjoins the Maasai Mara directly to the north and is a conservation partnership with the surrounding Maasai community (who own the land). The habitat comprises a diverse mix of open grassland and savanna woodland, providing abundant food to sustain a large volume of resident wildlife year-round, and the Conservancy is particularly renowned for its very high predator concentration. 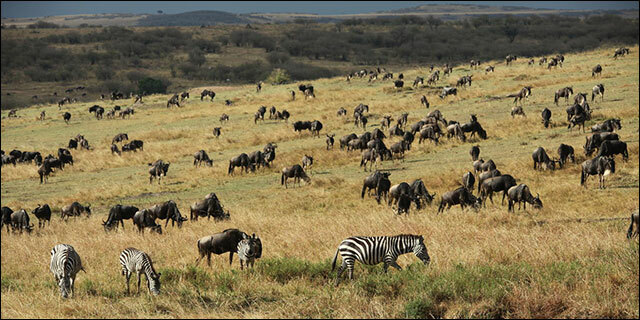 Guests have an excellent chance of seeing all the myriad species that “The Mara” is famous for, including the “Big Five” and, within the July through October timeframe, the vast herds of the "Great Migration". Being outside the Reserve boundary provides significant flexibility with respect to activities, and Mahali Mzuri offers day and night game-drives and walking safaris; visiting a nearby Maasai village provides insight into this highly traditional cultural group and is an excellent complement to the wildlife experience. 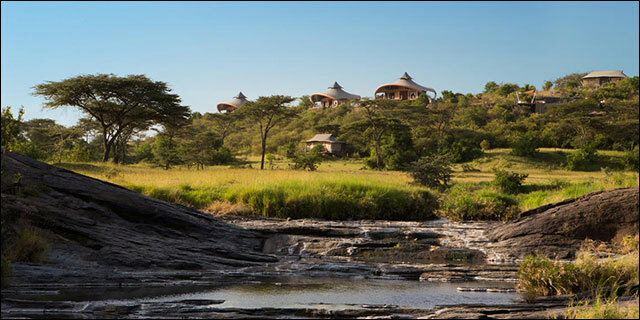 Mahali Mzuri is a unique tented camp perched high on a ridge, its curvilinear shape resembling drawn Maasai bows. Each of its twelve tented suites is luxuriously appointed, with leather, wood, indigenous textiles and artwork – leading to a private deck with views over the valley below. The modern styling lends itself to the inclusion of contemporary technological comforts, such as Bose speakers and Nespresso machines. En suite bathrooms feature polished dark wood and contemporary fittings, including plush towels, twin ceramic washbasins, walk-in showers and claw-foot bathtubs. The lofty main lodge is accessed by an elevated walkway and cultivates a welcome, friendly, home-away-from home ambience. It features a cozy sitting area with an open fireplace, a library of books and iPads, and a bar that encourages guests to create their own cocktails. A spacious sunbathing deck leads to a generous infinity edged swimming pool. Cuisine is a highlight at Mahali Mzuri, with pan-African dishes influenced by a variety of cultures, flavors and spices created from locally-sourced produce and featuring freshly baked breads and pastries. Dining venues run the gamut from bush barbecues and champagne picnics to refined dining on the lodge deck or in the stylish dining tent. 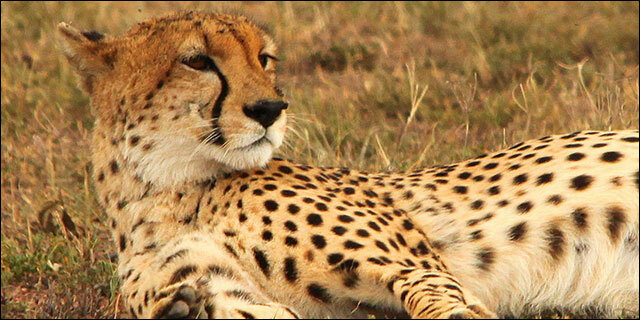 Mahali Mzuri is a luxurious but grounded lodge with a great location and a wonderful conservation story. It provides an elegant balance between outstanding game-viewing, cultural immersion, and relaxation, and is well-deserving of its name - Mahali Mzuri is Swahili for "Beautiful Place"! The Olare Motorogi Conservancy, is one of four established conservancies which together cover a total area of 156,000 acres in the Greater Maasai Mara ecosystem, bordering the northern edge of the Maasai Mara National Reserve. The other three conservancies are Olare Orok, Mara North and Naboisho, and as a collective force are helping to increase the protected area of the ecosystem by nearly 50%.Since 2006 a unique land management structure has been developed in the conservancies with a dual aim of extending the protection afforded to wildlife in the National Reserve to an even greater area while directly supporting the needs of approximately 1,550 Maasai families. As a result, both the Maasai community and safari guests are enjoying the benefits of conservation in a relationship that will see the ecosystem protected for many years to come.